Back to school time and the it’s last days of summer. We hope you enjoyed your break from Contentology, but not too much – we do like to leave you hungry. September is so called because it was the seventh month in the Roman calendar, and comes from the Latin word septem, meaning seven. Not to be confused with septum, that gristly bit between your nostrils that gets ruined and shown in the papers if you are a drug-snorting celebrity. Quite a difference, we think you’ll agree. Those Romans were quite prophetic, too. They believed that the god Vulcan looked after the month of September, which we have no reason to doubt, but who’d have thought his descendants would crop up on the bridge of The Enterprise so many years later? 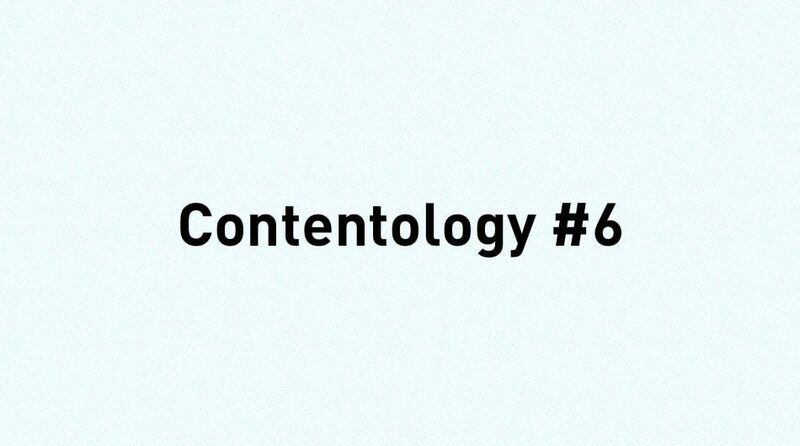 Enough already – here’s to the changing of the seasons and this month’s edition of Contentology. Back in the day, when that internet thing was first kicking around, there were all sorts of ideas being discussed as to what this brave new world was going to need. As it turns out, much of what we thought we needed at the time was useless. Not because the idea was useless but because the infrastructure and technology wasn’t good enough to support it. 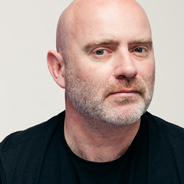 Remember Boo.com, which was going to revolutionise the retail world? It didn’t because it hadn’t considered the 20-30 seconds it would take for a page to download due to a lack of broadband, taking the fast and efficient retail concept out the back and shooting it in the head. I use this example because all the naysayers at the time were applauding the failure. What prompted this little bit of indignation was a story in The Telegraph about vloggers. Vloggers, you say? Yes, vloggers – those video bloggers that millions of us regularly tune into on YouTube for their views and advice on all manner of things. The current poster girl for this phenomenon is a young woman called Zoe Sugg, otherwise known as Zoella. 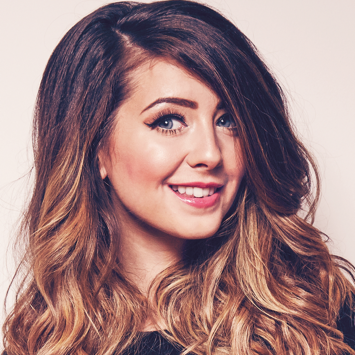 Zoella has more than 9 million subscribers to her channels. Her target audience clearly isn’t Contentology’s author – although my penchant for make-up tips is well known. But it is very well produced, intelligently written, engaging and speaks authentically to its audience. My professional opinion is that I really like it. It is, for want of a better expression, an excellent content channel. It was reported earlier this year that Zoella and her ilk may be using their influence (Zoella is among Britain’s top 500 most influential people, according to Debrett’s) to develop revenues for their channels (and obviously themselves) via product placement. The Telegraph wasn’t directly critical of this but did seem to publish, with some glee, the findings of a research report by GlobalWebIndex (GWI) on how consumers source new brands and products. Largely speaking, the findings showed that, unsurprisingly, newspapers/magazines were top of the pile and vloggers were at the bottom. It’s a classic piece of short-termism. The question-marketers should really be asking is: Where is the next generation of customers getting its recommendations? From friends? Obviously. From social networks? Of course. From celebrities? Absolutely. From newspapers? Told-you-so dance time. September sees the start of the Rugby World Cup, some cricket, Singapore and Japanese Grand Prix (with the Italian race having just been won by Lewis Hamilton at the time of writing), so we’ve selected some sporting content for you, and we promise it won’t be Nike or Red Bull. Not that they aren’t brilliant, it’s just you’ve probably seen it already. With a similar strategy to Red Bull’s, focusing on a lot of extreme sports and amazing adventures, it does, however, aim to be more ‘of the people’ and not just for those who race planes. Simply put, anyone can pick up a GoPro and record what they’re doing. You are the hero. It’s about fans capturing the moment for other fans. Ideal for any community, be it pig farmers or amateur footballers. They employ the best of this content in their own marketing efforts. It uses a range of channels, including Facebook and Twitter, but most of its marketing is through YouTube. Some stats from the month that is associated with fires, earthquakes and volcanoes. Don’t ask, look it up. Harvesting in medieval England traditionally began on 24th. ITV made its first broadcast on 22nd September 1955.
International Talk Like A Pirate Day is on 19 September. Pencil it in! A total of 672 English language books were published on the subject of 9/11 in the year after the attacks. Star Trek debuted on US television on 8 September 1966. Not that we’re obsessed or anything. Shakespeare didn’t mention September in any of his plays. September begins on the same day of the week as December, every year. It is the ninth month and the only month with the same number of letters in its name in English as the number of the month.